According to DoJ, the former Chief Financial Officer of an Austin, Texas based company pleaded guilty today to willfully failing to pay over employment taxes to the Internal Revenue Service (IRS). 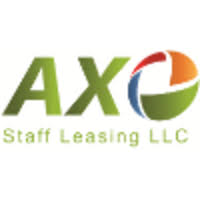 According to court documents, from 2010 to 2016, John Herzer was the CFO of AXO Staff Leasing (AXO), a professional employer organization. 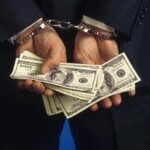 Herzer handled all of the company’s finances and had final authority over which creditors to pay and when to pay them. Herzer was also responsible for collecting and paying to the IRS taxes withheld from AXO’s employees’ wages. Despite this obligation, Herzer did not pay to the IRS AXO’s employment tax withholdings and instead used more than $4.9 million of those funds for his own benefit including paying personal expenses and transferring millions of dollars to his own bank accounts. In Total, Herzer’s Fraudulent Conduct Caused A Tax Loss To The IRS Of More Than $13 Million. A sentencing date has not yet been scheduled. Herzer faces a statutory maximum sentence of 5 years imprisonment, as well as a term of supervised release, restitution.